Rumer Godden seems to have fallen out of fashion, but she is simultaneously the author of one of my favourite sets of children’s books and two of my most reread adult novels. Miss Happiness And Miss Flower is about two Japanese dolls sent as a present to two little English girls, one of whom is homesick for India, where she was born and raised. In tending to the dolls—and building them a dollhouse, Japanese style—Nona, one of the girls, finds friends and roots in London as well. So much did I love Miss Happiness And Miss Flower (my copy is stolen from a library, a fact that makes me feel deeply guilty, but doesn’t stop me from loving the book) that I was surprised Godden had written anything else. She was shelved in my mind as an author for children, like Tove Jansson (the Moomin series for children, The Summer Book for adults) or Judy Blume or even Roald Dahl. Authors who skipped across barriers and wrote for both sides. 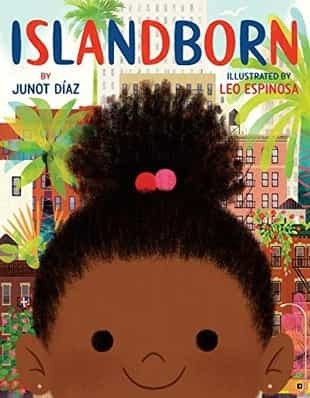 The hipster beloved and much bookstagrammed author Junot Díaz is due to release his new book—a picture book called Islandborn—next spring, according to The New York Times. The themes are the same as his adult novels: immigration and longing, but packaged with colourful drawings and the story of one young girl wanting to know more about her roots. We know Dahl and Jansson and Godden, everyone knows J.K. Rowling, one of the few authors better known for her writing for children. But children’s books, especially in India, had lived in obscurity till now. The bookshops had a small shelf space for them, the best we could do in the 1980s and the 1990s were books done by the Children’s Book Trust (CBT), good stories and illustrations on fall-apart pages bound like pamphlets. Books from the erstwhile Soviet Union were a blessing, being well-priced and nicely bound, with solid stories usually featuring full-length illustrations. That was all though. And it seemed books were doomed to stay that way, unnoticed and unloved. This meant that authors shied away from writing for children. Why would you want to put in all that work to be relegated to a dusty back shelf in a book store with no one paying attention to you at all? It seems, though, that things are changing. “There are many interesting new voices, lots of genres being experimented with. Most importantly, children’s books are losing that self-conscious Indianness that made them so twee. Indian children’s writers have found their voice and it is often irreverent, funny, iconoclastic and strong. And people are ready to pay what the books are worth," says Anushka Ravishankar, an author Atlas Obscura described as “India’s Dr Seuss." Ravishankar, along with Sayoni Basu, is the co-founder of Duckbill Books, an independent house that publishes books for children. Ravishankar’s books, Basu tells me, are among their best-selling titles. 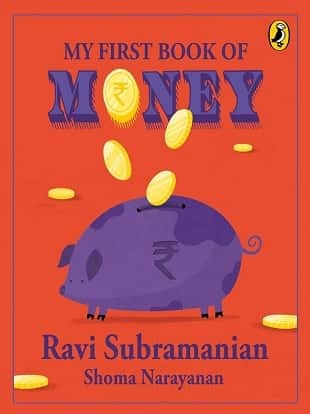 This year, Penguin Random House will be bringing out books by previously “adult" authors—best-selling banker-turned-thriller writer Ravi Subramanian’s book, My First Book Of Money, explaining finances to children and Corporate Chanakya author Radhakrishnan Pillai’s series Chatur Chanakya for Puffin. Film critic and Lounge columnist Raja Sen too will be making his authorial debut in the children’s book genre, with a series retelling famous movies in verse form. Then there’s Deepanjana Pal, author of The Painter: A Life Of Ravi Varma, who will be releasing her new book, A Book For Puchku, soon on Pratham Books’ online platform StoryWeaver. “In the fiction space, there have always been crossovers—children reading stuff published primarily for a general readership, and adult readers taking delight in children’s books," says Hemali Sodhi, Penguin Random House publisher, children’s and YA. “That said, a number of writers are indeed writing books that are aimed primarily at children." She mentions authors like Namita Gokhale, Devdutt Pattanaik, Sudha Murty and Sanjeev Sanyal, whose books for children are among their most popular titles. Díaz decided to write Islandborn because his goddaughters asked him to. Sen did the same thing. “I wanted to buy something cool for nephews and goddaughters but everything Indian seemed either preachy or mythological, and I’d end up buying Green Eggs And Ham yet again." I’ve been in this fix before, trying to be the cool child-free aunt to friends’ children who brings over amazing books. Yet, even in the best book stores, it’s a pile of princesses and tractors, the inevitable Hungry Caterpillar, and nothing that is Indian that isn’t about the gods and goddesses. 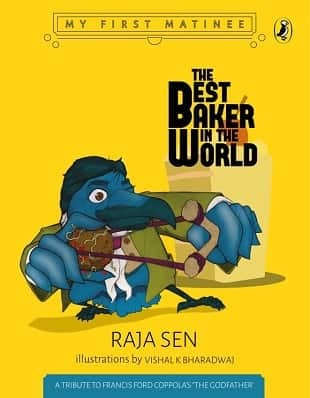 Sen’s book, The Best Baker In The World, will be out in November, and is a tribute to The Godfather. It’s the first in the series My First Matinee that seeks to adapt R-rated movie masterpieces into books for children. “The challenge, and the fun bit, is to find the right all-ages parallels. And I’m doing the books in rhyme, which—for better or worse—comes naturally to me. The first book is told entirely in limerick, a verse form that lends itself excellently to being read out loud." This is something other authors have done with success as well: Just think of Vikram Seth’s excellent Beastly Tales From Here And There or Dahl’s Dirty Beasts. So what is driving the change for better books for children? Says V. Geetha, editorial director of Tara Books, “There is a generation of young parents who have come to child-rearing in different circumstances than previous generations—in a world packed with information, with not much direction, and to them, books appear to matter a lot, in that they act as signposts as to what may be made available for a child’s imaginative nourishment." And when parents are authors, as in the case of the best-selling author of commercial fiction Yashodhara Lal—author of titles such as Just Married, Please Excuse—this can spill over into them writing for their children as well. Lal, however, found she had to tailor the way she wrote to her new audience: “It’s all to do with the attention span of kids, the things they find relatable, making sure not to get too preachy, how the plot should build up, leaving the kids feeling empowered and so on." 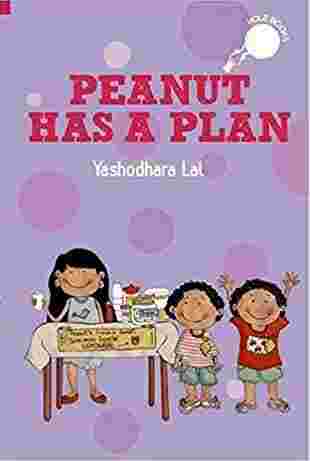 Lal’s books for children—Peanut Has A Plan (2016) and Peanut And The Piano (forthcoming)— are based on her daughter, whom she calls Peanut. Perhaps the most boring thing about a lot of traditional children’s literature is that there have been no shades of grey. Now, however, the important thing is not to talk down to children. “Children’s literature is exploding, themes are becoming varied and more complex," corroborates Kavita Gupta Sabharwal, founder of the brand new Neev Literature Festival for children, held in Bengaluru in September, and managing trustee of the Neev Trust. “When we grew up, dark themes in children’s literature was not the norm—today it is. Faces In The Water by Ranjit Lal is about female infanticide. Weed by Paro Anand is fiction set in Kashmir and terrorism." “Children are more savage and unforgiving than adults when it comes to reading. They have a limited span of attention. An adult will give you a chance. A child will not," says Subramanian, who is jumping into the “KidLit" category in November. “A lot of children’s books that get read in India are written by foreign authors. That also got me wondering as to why is it so. I wanted to make a difference to Indian writing in this space." But his publisher, Penguin Random House, was a little more wary. “There is a larger thriller market out there that I write for. Penguin was worried if my writing for children would dilute my ‘brand’ in the adult books category, and whether this was a sensible move to make. I appreciated this concern of theirs and debated it with them. We even debated writing under a pen name." Authors are getting curious about this space, but let’s not celebrate just yet. “I was not writing children’s books for money, but despite the money," says Subramanian. “It is a myth that the children’s book market is exploding. While publishers and ‘industry experts’ will throw all kinds of numbers at you to show that the market is growing at over 20% etc., etc., the fact remains that children are not reading as much as they should be." He points out that with small print runs and small royalties, a children’s book author could really not expect to make that much—or any—money. Even Ravishankar, a best-selling author for children, agrees. “I wouldn’t be able to live off my royalties even in a good year. And for those starting off in the field, we always say—don’t leave your day job. I hope this state of affairs will change. But I’m not holding my breath."